Viney Hall is a Physiotherapy and Pilates Centre in the Forest of Dean, with additional Therapies including Acupuncture, Podiatry & Chiropody, Swedish & Sports Massage, Yoga, Nutrition & Allergy Therapy, and Counselling. Quick attention to all musculoskeletal problems including whiplash injuries, neck and back pain, sciatica, sports injuries, shoulder or knee pain, arthritis, strained joints, muscles and ligaments and post-operative rehabilitation. The addition of other specialist therapists enables a one-stop centre for many of your rehabilitation and health needs. At Viney Hall, our team of experienced and highly skilled therapists will assist you in your quest to make the most of your body and mind, whatever state it may be in. Take advantage of our knowledge to prevent recurrence of pain and preserve your body well into old age. We are here because you need to get on with your life! Register on our website with name and email in order to book classes, access our Resources Page for useful advice, information and links regarding your treatment, receive our blogs and be entered into our monthly draw to win a FREE TREATMENT of your choice! We have Pilates classes for all levels throughout the week, daytime and evening. There is a Yoga class on a Friday morning at 9.15. Pilates matwork classes are for beginners, intermediates and advanced. 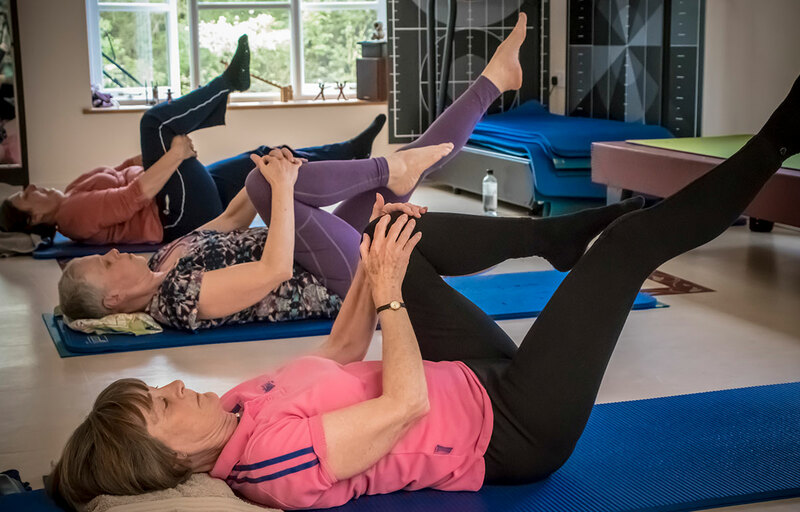 A 1:1 session with a physiotherapist is required prior to joining a beginners pilates matwork class in order to discuss any particular issues you may have and to introduce you to the basic pilates principals. This enables your instructor to know you and any physical stiffness, aches or pains or muscle imbalances and helps her to plan her classes accordingly. There are also Reformer Pilates Classes using our wonderful machines that challenge or assist your exercise by adding resistance. These are four people with one instructor. And of course, 1:1 sessions can be organised too if you wish to work on individual problems.